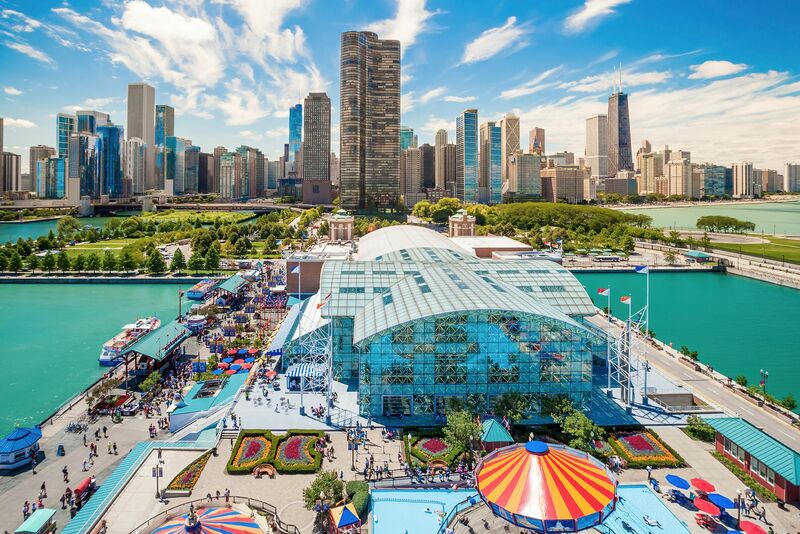 These apartments offer a great location and easy access to some of the most desired spots in Chicago - Ohio Street Beach, Navy Pier and Michigan Avenue shopping. The location, views, and amenities make these apartments truly luxury living in Chicago's vibrant Streeterville neighborhood. The apartments feature amazing views due to the location of where the Chicago River meets Lake Michigan. Also, if you're a fan of walk-in closets and balconies, many of the apartments in this building have them. It also features modern kitchen with stainless steel appliances, granite countertops, and a breakfast bar. You'll find hardwood flooring throughout the living and kitchen area. Large apartment windows give you stunning lake and Chicago Loop views. What would luxury apartments in Streeterville, Chicago be like without the hot spots and attractions that fill the area? Flanked on one side by the crowded sidewalks of Michigan Avenue and on the other side, the wide, open waters of Lake Michigan — Streeterville is home to some of the biggest attractions and most visited sites in Chicago. Needless to say, the neighborhood has the best shopping in Chicago with its Mag Mile retailers and flagship department stores. The local restaurants are among some of the most memorable in the city, too. After all, how could anyone forget a meal at 1,000 feet in the air, on the 95th floor of the Hancock Center?